As a business owner, you know the value of finding the right tool for the job. That may be a team, a specialist, or, in many cases, an actual tool. But you also know the value of efficiency and how it can make or break your company. What you may not know is how to use this type of innovation to bring your company to the forefront of its industry. 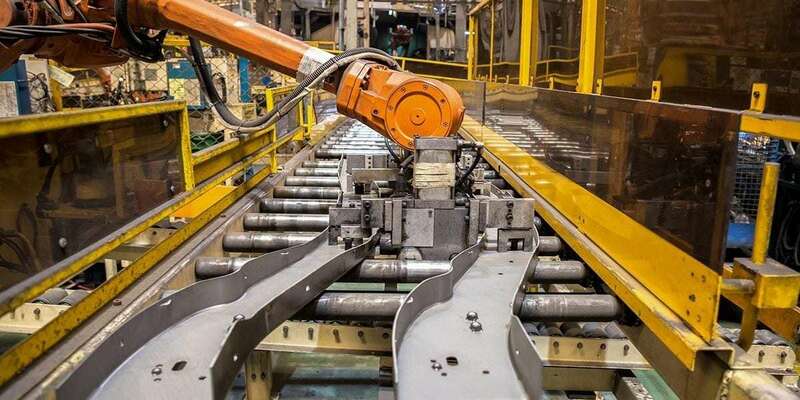 Read on to learn more about what flexible automation really means – and why it matters to you. There are two types of automation to consider. The first type is fixed automation, where a specific solution is designed for a specific purpose that benefits a specific product. The second type is flexible automation, where the solution is designed to span the breadth of your company’s products and are easily re-tasked to fit a variety of needs. Many businesses are attracted to the idea of fixed automation: It’s easier on the budget (at first), it provides a simple solution that solves a problem in your production process. However, while a fixed automation solution may seem like the right choice, it’s important that you consider its limitations. For instance, let’s say your company produces engine blocks for different automobiles. You utilize automation that is made to machine the block to exact specifications, and it gets the job done. But as soon as you have finished the project, that automation is now essentially worthless. Every time you begin a new product with different requirements, you have to make a new automated solution. This process is time-consuming and quickly becomes expensive. With flexible automation, it’s easier to retool for the next product. You don’t need to create a new solution, because it already exists. You can produce what your customers need quickly and efficiently, which is good news for their bottom line and means they are more likely to return to you in the future. Embracing flexible automation may take a little more time and money upfront, but it would be wise to consider this a smart investment that will ultimately improve your budget and increase customer satisfaction. Flexible automation is designed to achieve a task (or tasks) that suits your company’s needs. However, while flexible automation presents you with multiple solutions, you won’t get far without the right team driving each project. You want to seek out automation experts who are dedicated to discovering which solution makes the most sense for your needs. Moreover, if there is no solution, you want a team that that is innovative enough to create one. As a business owner, you don’t need to sit on the sidelines: By combining existing technology with fresh ideas and innovation, you can partner with an automation engineer to first identify your needs and then pinpoint the way to meet those needs. At the end of the day, you can always find a bigger or better tool that seems even more impressive than your current solution. But without the expertise of someone who is well-versed in automation, you may find yourself with a more complicated problem than the one you set out to solve. Don’t miss your opportunity to consult a team of experienced people whose priority is helping your business thrive. You are probably in the habit of researching current technology trends and solutions that will help your business succeed. That’s a great idea, as long as you keep one thing in mind: One size doesn’t fit all when it comes to flexible automation. A solution that works for a competitor or even a partner may not make sense for your company’s needs. The ideal automation solution factors in your clients’ specific needs, the demand for certain products, and the problems you most often need to solve. It also means you need one tool to solve multiple problems, instead of one tool to solve one problem. That’s why it’s important to not only research what technology is available for your company, but to seek out experts who can help you customize it to fit your needs. A good engineer will show you ways to access and utilize robotic automation, as well as teach you how to take your company to its highest level of efficiency by making some customized adjustments to your tools. You might be surprised to learn how some unconventional solutions can make a world of difference to your business. Your business isn’t like any other in its field – so you need flexible automation that is tailored to fit your needs. Whether you need adjustments to your current process or need to start from scratch, we are committed to creating the right tool for your company. Robotic programming, tooling design, welding process development, and onsite training are just a few of the ways we can help you make your business the only choice for your clients. Contact us today at 317-550-4006 to get started.